Hey, everyone! If you follow me on Instagram, you will have seen that a couple months ago, my feed was full of crochet hexagons. 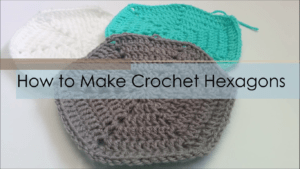 Today, I’m going to show you how I actually made all those crochet hexagons and half-hexagons. 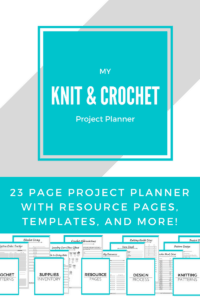 I loved making them and they were part of a bigger project that I was working on at the time: The Hexagon Baby Blanket! 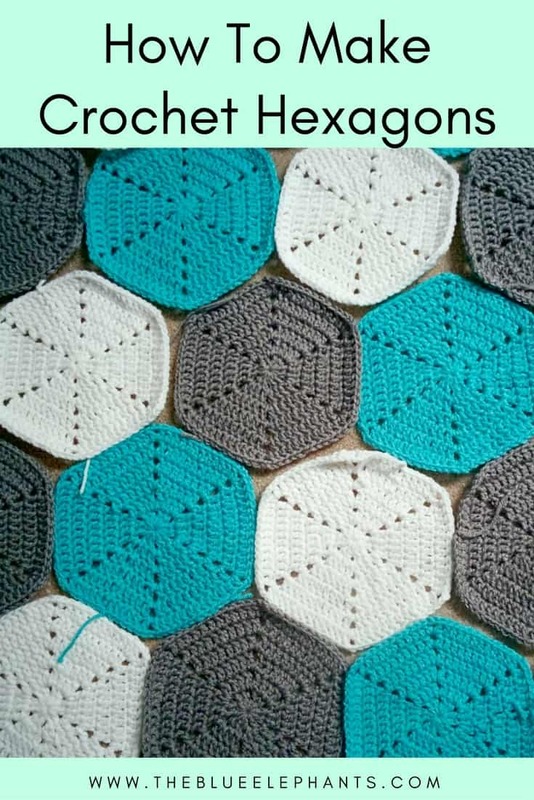 But before I can share the pattern for the blanket, let’s learn how to make the crochet hexagons. 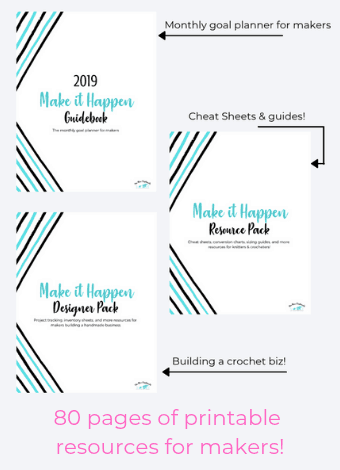 You can check out the video for the full step-by-step and make the first one along with me, or keep reading for the pictured instructions. That’s not so difficult, right? Think of it as making a circle, except that your adding eyelets where normally you would just increase. That’s how you get the “corners” of the hexagon. But don’t worry, I’ll go over it again with the pictures below. P.S. 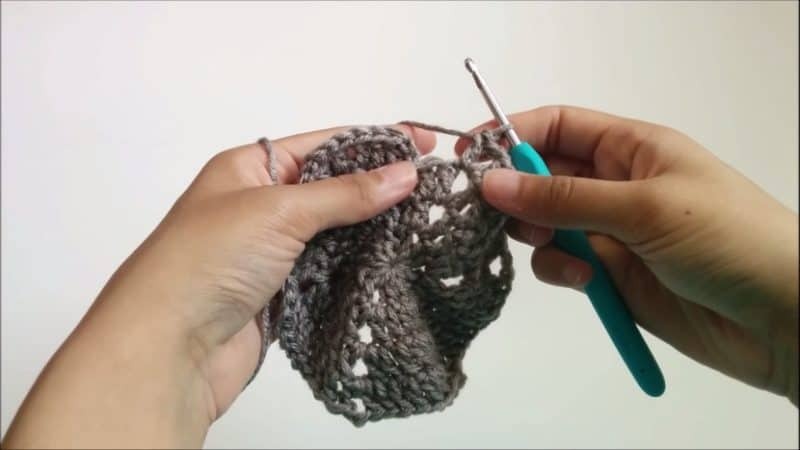 If you need help with any of these stitches, hop on over to the Crochet 101 Series for a little refresher! 1. 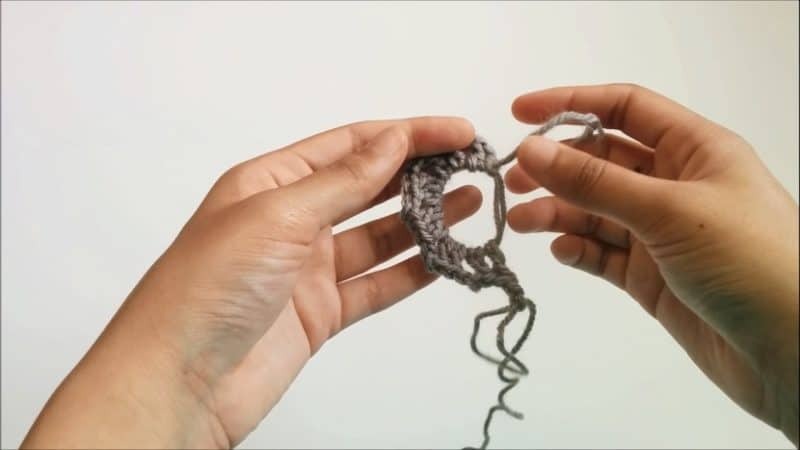 Start with a magic loop and secure it with a slip stitch. 2. Chain 2. Work 1 DC into the magic loop. Chain 2 again. Your first chain 2 counts as a DC. 3. * DC 2, chain 2* five more times into the magic loop. You should have 6 sets of DC and 5 chain 2 spaces now. 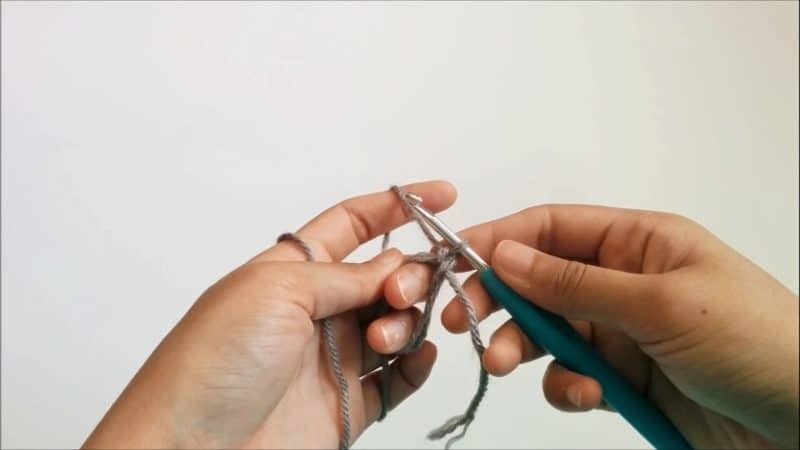 Remove your hook from the work for a second and close the magic loop by tugging the tail end until the circle is closed. 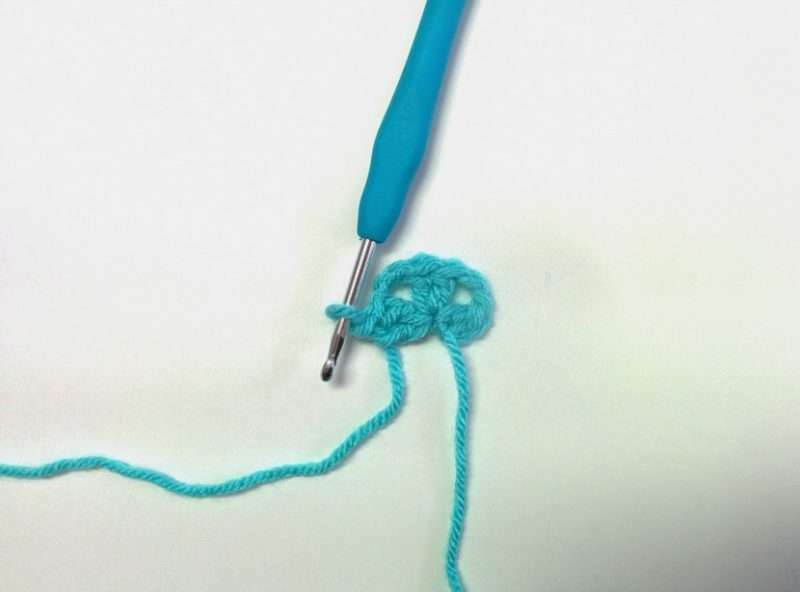 Then, slip stitch to the top of the ch 2 to finish the round. 4. Start the next round with a chain 2 (which will again count as a DC). Work one DC. Then, into the chain 2 space from the previous round, work this pattern: DC, chain 2, DC. This will give you another eyelet on top of the one from the round before. Now, let’s make it bigger! 5. 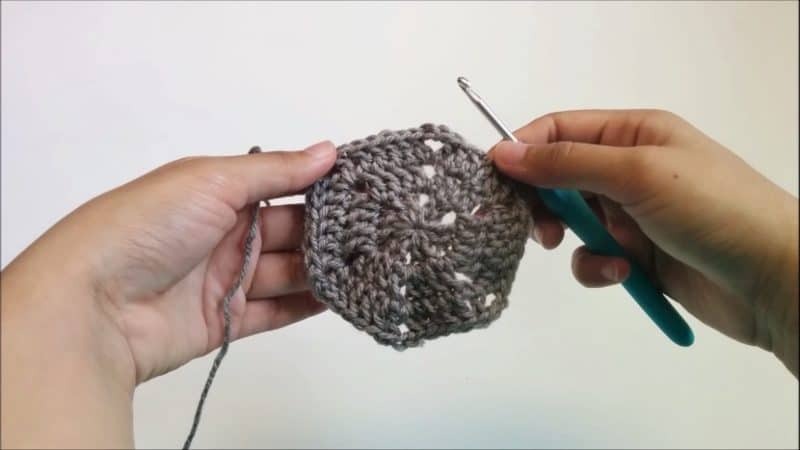 *DC 2, [DC, ch 2, DC] into the ch 2 space* all the way around the crochet hexagon. 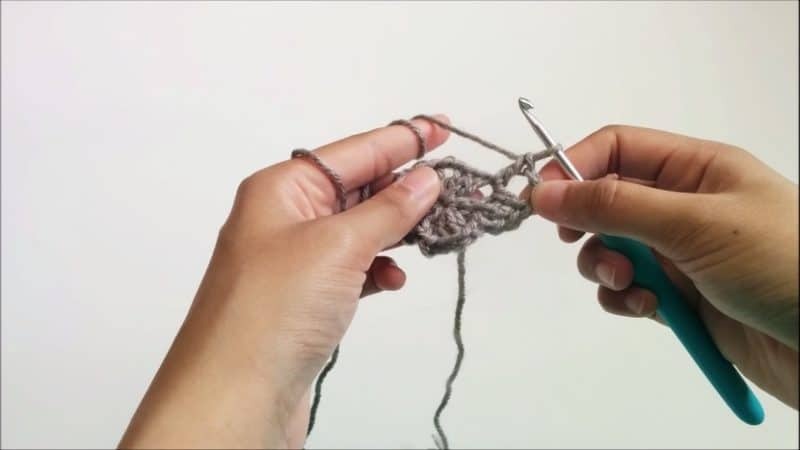 When you get to the end of the round, slip stitch to the top of the chain 2 to finish the round. You should have 4 DCs per side. 6. Chain 2. *DC into all the DCs on that side, then work [DC, ch 2, DC] into the chain space of the previous round*. Repeat from * to * all the way around the hexagon. 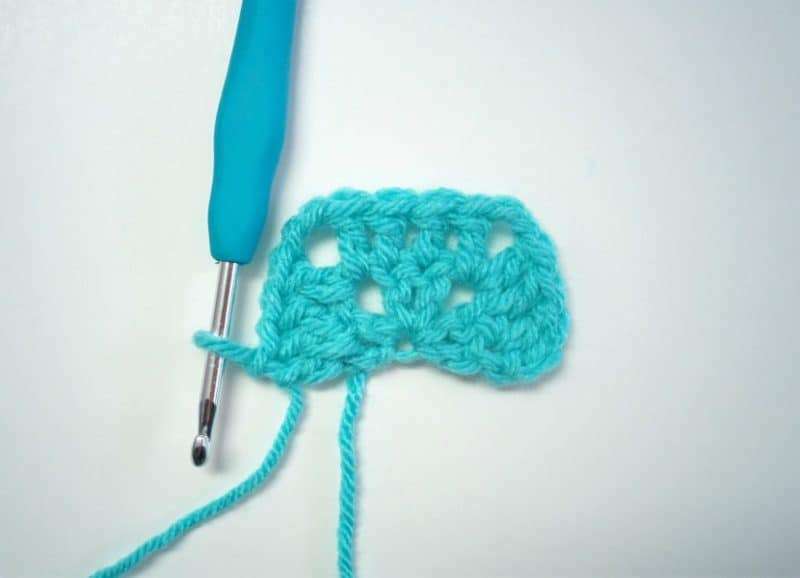 After the last repeat, you’ll notice that you need one more DC into the first side to get the 6 stitches you need per side. This is because the round actually starts in the middle of that first side, and the seam is always going to be in the same place. So, you’ll need to work 1 more DC to get to the end of the round. Then, slip stitch to the top of the ch 2 to finish the round. 7. 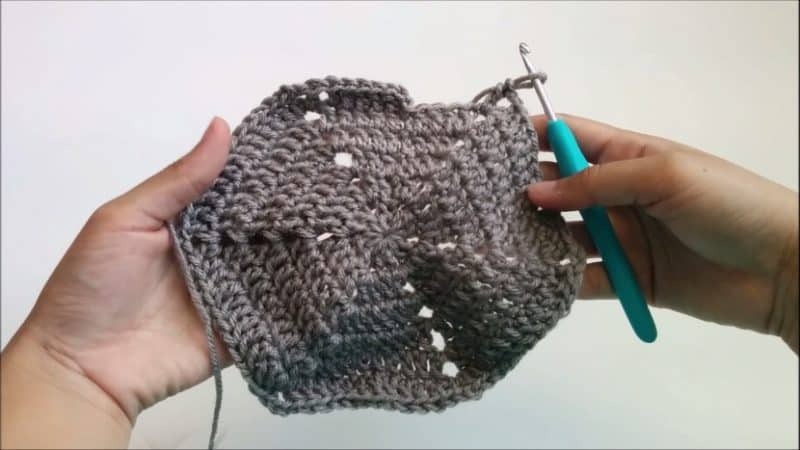 Repeat step 6 for as many more rounds as you like to get a crochet hexagon in the size you want. At the end of each row, keep in mind that you have to work back to the center of the first row to complete the round. The next two images are from the end of this step (with 8 DC per side) and the last round I worked (with 12 DC per side). 8. 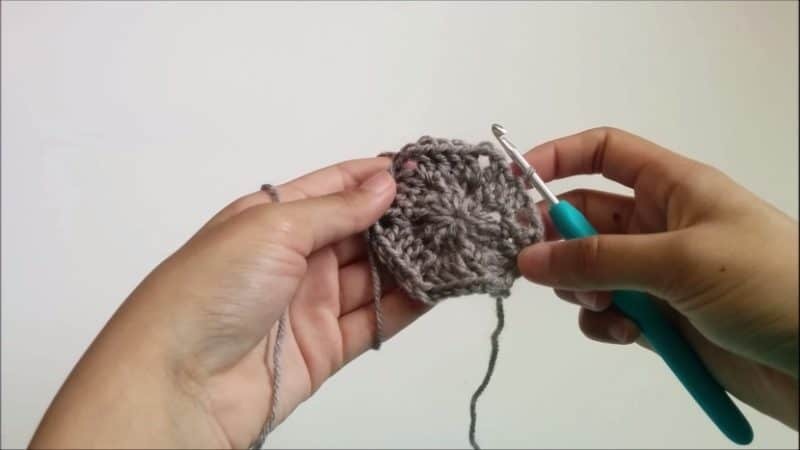 Once you’re happy with the size of your crocheted hexagon, bind off and trim the excess yarn. 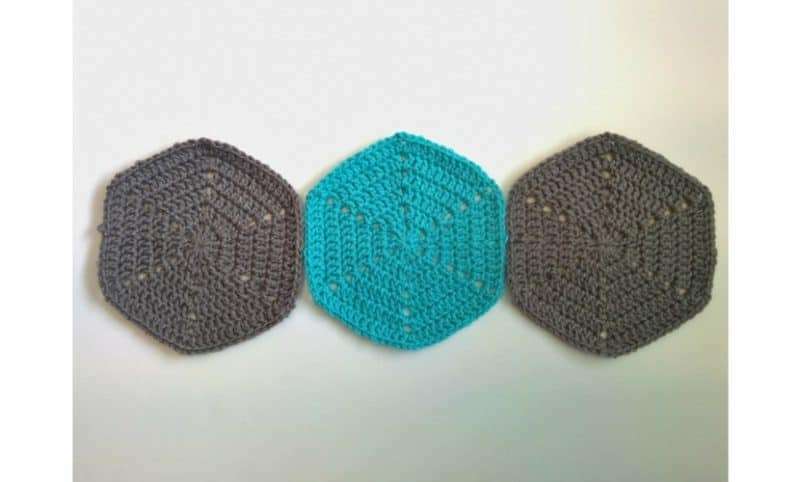 These hexagons work up really quickly once you settle into a rhythm, and there is so much you can do with them! 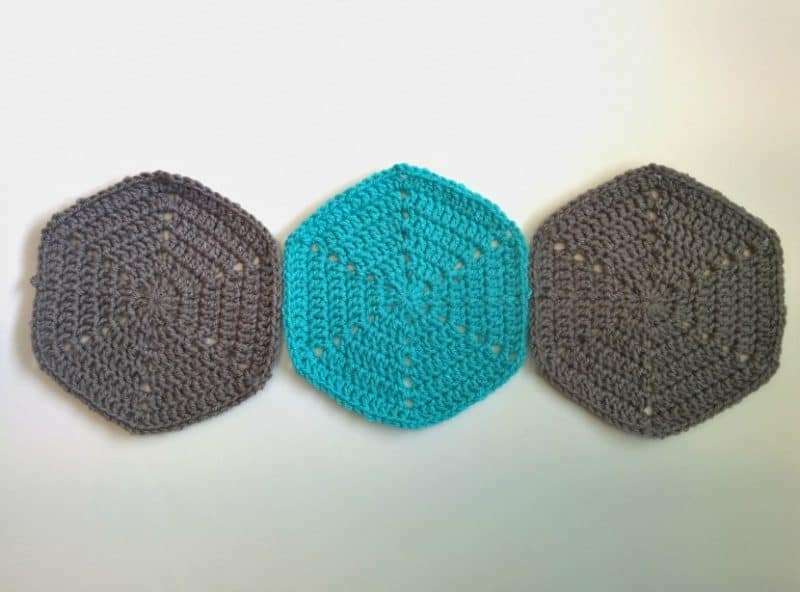 I’ll be sharing my Hexagon Baby Blanket next week, so be sure to sign up at the bottom of this post if you want to know when it goes up! But for now, let’s make the half-hexagons. When you lay out all of your hexagons, you’ll notice that you don’t get any straight edges. You’ll have the points of the hexagons make up to sides and the other sides will have gaps that you only need half a hexagon to fill. So, here is the pattern for making those half hexagons and filling the space. 3. * DC 2, chain 2* twice more into the magic loop. Pull the tail ends to close the loop. You should have 3 sets of DC and 2 chain 2 spaces now. 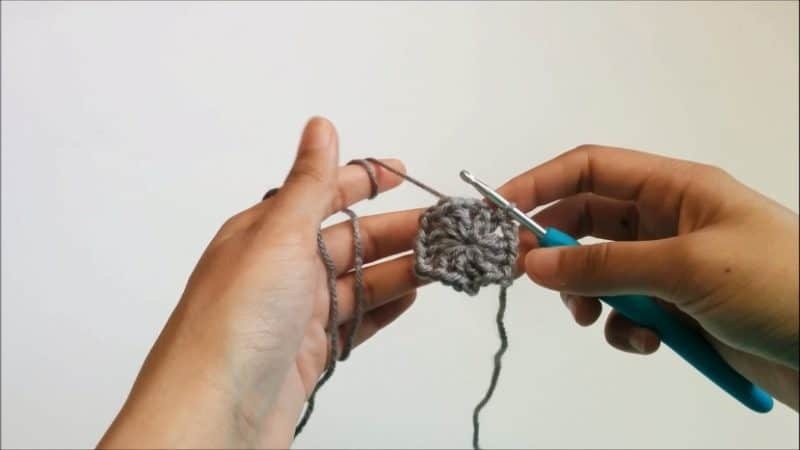 When you’ve worked as many rows as you like, bind off. 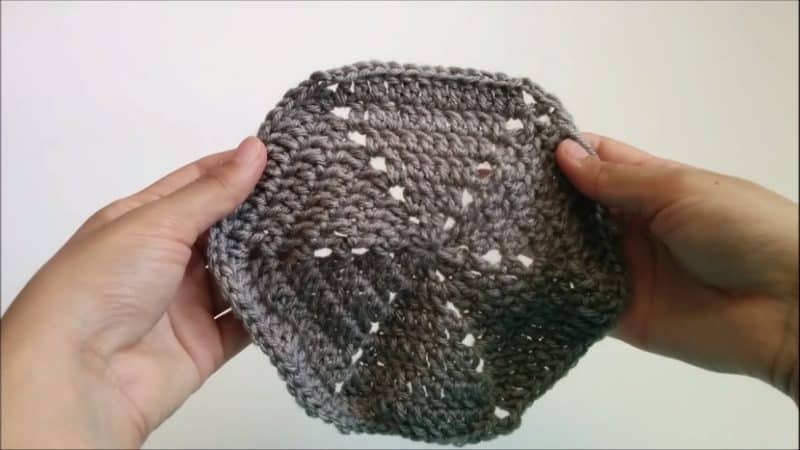 If you want to support me, get my pattern for The Marauder Beanie! 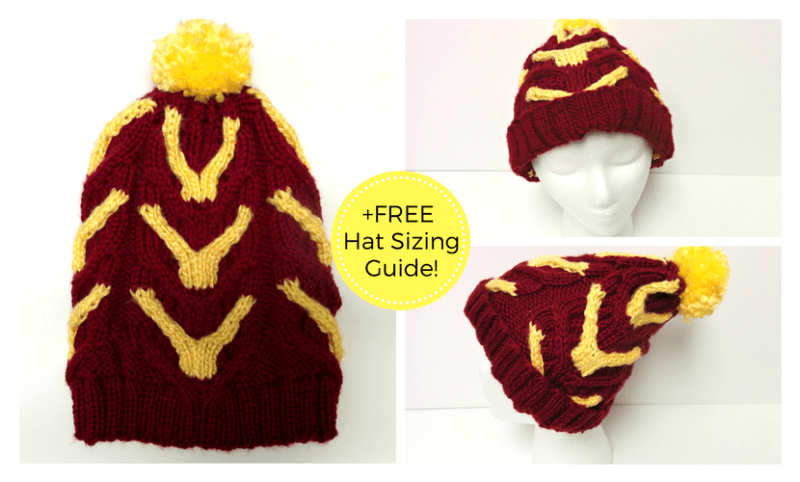 It’s a Harry Potter inspired beanie that I am in love with, and I’m sure you’ll love it too. Thanks again for reading! 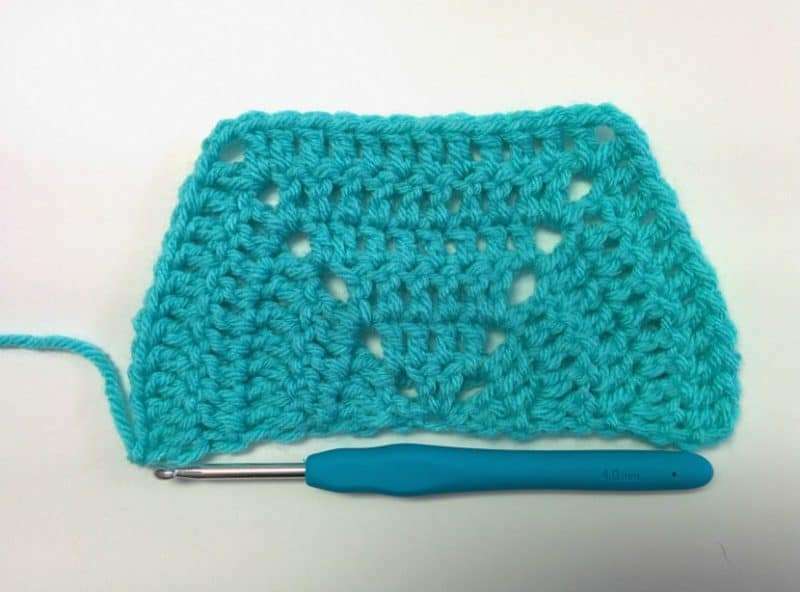 I’ll be back next week with the free pattern for the hexagon baby blanket. Great tutorial. I made a hexagon blanket once and remember them being great fun to make but I used a colour scheme I fell out of love with half way though so didn’t enjoy it as much as I should have done. maybe it’s time to try again!